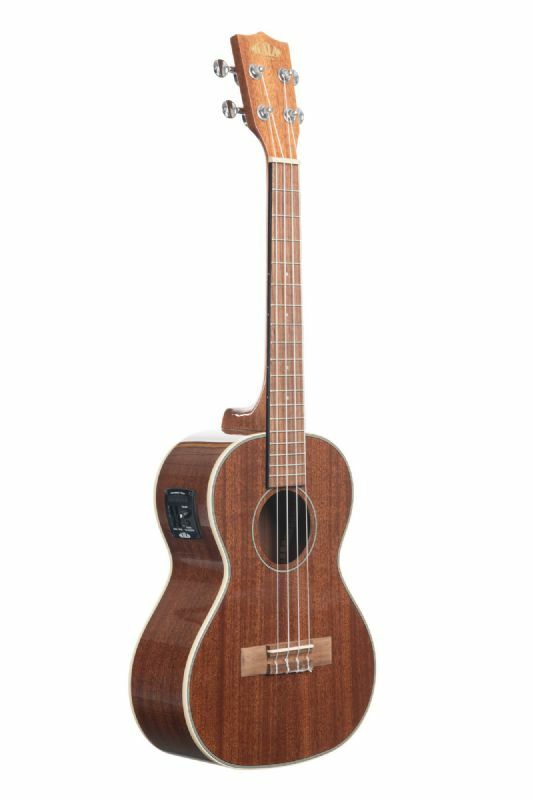 The Mahogany Gloss Tenor is now available with a UK-300TR preamp installed for players who want the ability to both play acoustically or plug into an amp. The Gloss Mahogany line features a high-gloss finish to enhance the simple elegance of the Mahogany woodgrain. The gloss finish adds a smoothness and sturdiness to the uke and a cream binding ties it all together.